This is my dad's favourite salad, he always orders it wherever we go. Of course I have fiddled with it and added some feta cheese. I just couldn't resist! If you would like to get an entry in, there is still time. Tomorrow is the closing date, but I won't be posting the roundup until I come home from work on Tuesday, so you have until 7pm, Tuesday 23 April 2009, UK time. This month's edition calls for a soup or salad containing tomatoes, but there is something extra this month. 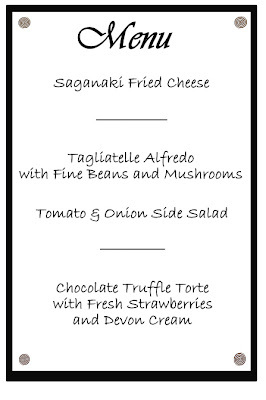 It was my birthday when I posted the challenge, so I have asked for a birthday menu to go along with the soup or salad. It's going to be fun reading through everyone's menu ideas. This hardly warrants a recipe, more a serving suggestion. 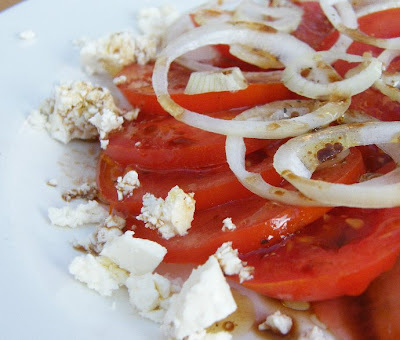 Arrange your tomatoes on a plate, scatter over the onion slices and crumble some feta around the edge of the plate. Mix the dressing ingredients and drizzle over the salad. Yes please to that menu. And your salad is just lovely! 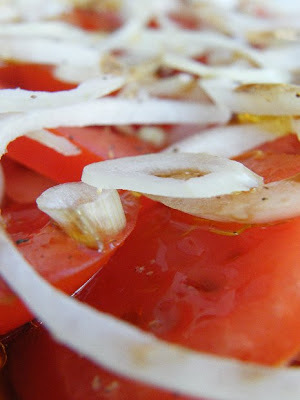 My dad loves tomato and onion salad too, must be something about it! That chocolate torte looks absolutely spectacular, a fitting end to a birthday dinner! I'd fly across the pond for that dinner! Looks fabulous! 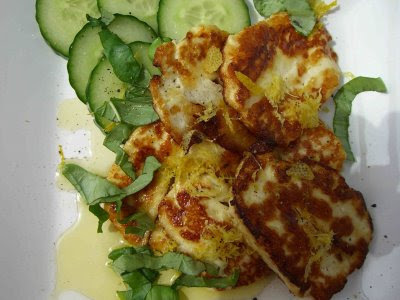 feta and saganaki - yummmmmmm! Ummm, love this salad. When the tomatoes are ripe...little beats it. I'm particular to red onions but since you made this, me lass - it's delish, fo'sho! I wish I could eat all of that on my birthday TOO! Mmm, Holler, everything looks totally delicious!! I love tomato salads--especially with your addition of feta. 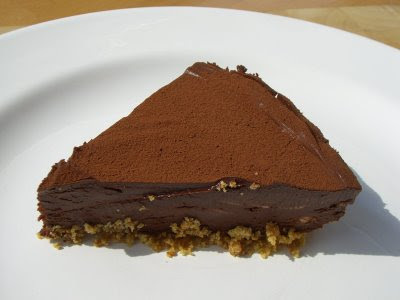 And you know that I'm just dying to get a bite of that chocolate torte!! OH, and how could I forget!? HAPPY BIRTHDAY! Thanks for the info. Very well written and easy to follow. I have posted a few of my articles on Wacanai.com ( http://www.wacanai.com/intro ). It's nice because I just link it to my page and when someone searches for anything similar to my article then they recommend mine. They also have some graphs that you can put on your page to help track who's reading your stuff and how helpful they are finding it. Mmm feta is a great addition to that salad! Your birthday menu sounds delicious. 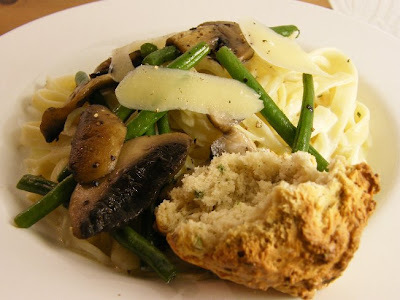 this is one of my favourite salads too, and don't get me started on the truffle torte! Heilan Coos an' a' that!